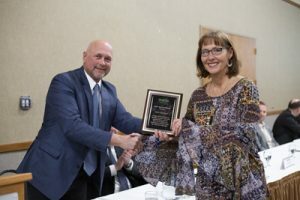 On Thursday, January 24th, Spearfish Economic Development Corporation held their 2019 Annual Meeting. 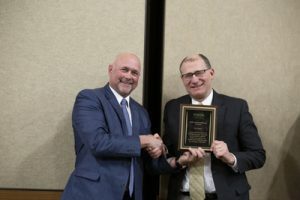 The meeting consisted of a 2018 Spearfish Economic Review, an update from guest speaker Dr. Jaret Heise from the Sanford Underground Research Facility, recognition to outgoing SEDC board members, and the presentation of the 2019 Award of Excellence and Rising Star Award. It was another banner year for Spearfish in 2018 with more than $48 million in new building valuation. Here’s a video showing all the exciting growth Spearfish has seen in the last year. 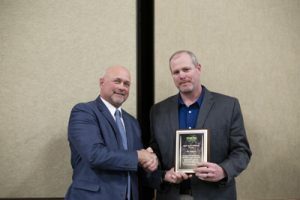 SEDC is proud to award Prairie Hills Transit the 2019 Award of Excellence! From fixing up an old green van in 1989 to now having over 65 employees, Prairie Hills Transit continues to provide quality transportation services and a renewed source of independence for seniors and others. 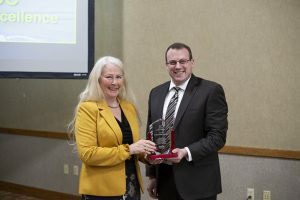 The dedication, leadership, and job creation Prairie Hills Transit has demonstrated within our community has earned them the 2019 Award of Excellence. Congratulations! 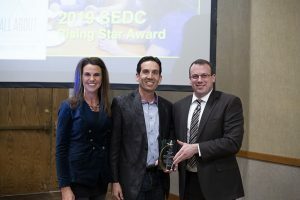 Congratulations to our 2019 Rising Star Award recipient All About Potential Family Chiropractic! 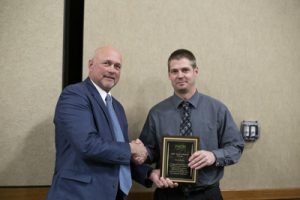 The Rising Star award recognizes the entrepreneurial spirit of individuals who make the investment of both time and money to grow a small business in Spearfish. Scott and Dawn Hourigan have exemplified that and more since they opened their practice in 2000. Here is their story and why they give so much back our community. 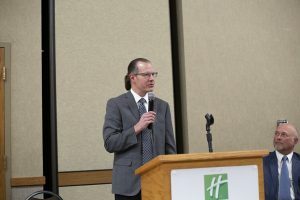 The audience Thursday night received an update from Dr. Jaret Heise on the Sanford Underground Research Facility (SURF) including an overview on the experiments, future expansions and economic impacts at the SURF. Here is the link to Dr. Heise’s presentation. 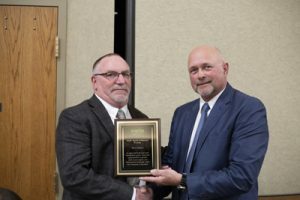 SEDC recognized several outgoing SEDC board members including Sharon Hemmingson, Randy Deibert, John Senden, Toby Bordewyk, and Jeremy Hoven. New Board members T.J. Gusso, Will McElroy, and Jason Roberdeau were welcomed onto the board.